Like the TV show American Idol, potential contestants must first make the cut by submitting an audition tape, photo, brief bio and shirt size to Seashell Entertainment, PO Box 442, Hampton NH 03843. If you make it, be ready to perform. This competition is open to individual singers only who compete in one of two categories-Junior (up to age 18) and Senior (age 18 and older). Vocalists are judged according to vocal ability, stage presence and the entertainment value of their performance. Prizes in each category are $500 for first, $300 for second and $200 for third. Each vocalist must have two pieces ready, with one selection being offered in the semi-finals and the second piece in the finals. So, if you think you’ve got the pipes and personality to mesmerize the judges and the Hampton Beach visitors, get ready to open it up and let it all out at the Hampton Beach Seashell Stage in late August. 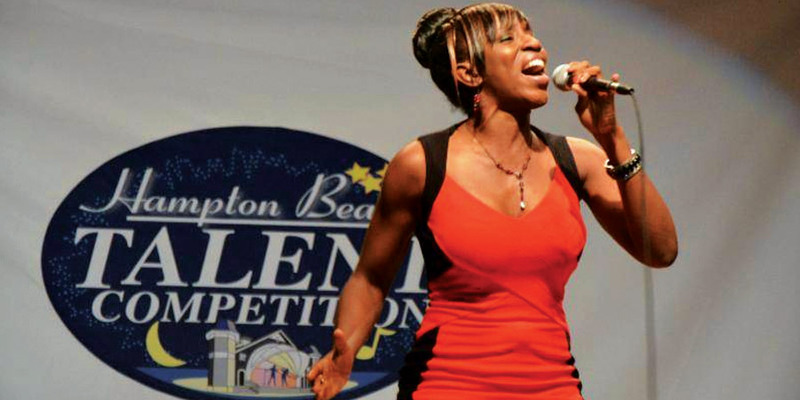 Hampton Beach Talent Competition is not associated with the hit television show or any other competition. Performer must have a second selection to perform. Please note this competition is open to VOCALISTS ONLY This competition is not affiliated with any other competition, local, national or otherwise and is solely offered for entertainment of visitors of Hampton Beach. Contact Glen French for additional information at glen@glenfrench.com to get an application via e-mail.